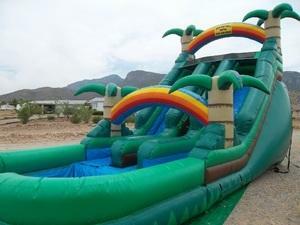 Tropical 2 lane Water slide w/ Pool. 18'H x 38'L. Dual lanes to race your friend to the bottom into the huge pool.